Energy Mortgages recognize that energy efficient homes cost homeowners less to operate on a monthly basis than standard homes because they use less energy. Homebuyers who choose energy efficient homes can afford to spend more on their housing expenses because they will likely spend less on their energy costs. An energy efficient mortgage (EEM) allows borrowers to qualify for a larger mortgage as a result of the energy savings. The energy improvement mortgage (EIM) benefits those purchasing existing homes that need energy improvements. Why Should I Buy an Energy Efficient Home? Energy efficient homes cost less to operate, provide improved comfort, and create less pollution. An energy efficient home will use less energy for heating, cooling, and water as compared to a standard home. Energy efficient homes use less energy, but feel warmer in the winter and cooler in the summer. The air quality may even be better in an energy efficient home, as improved duct systems will improve balanced airflow to all of the rooms. Energy efficient homes also create less pollution. The average home will produce twice as much greenhouse gas pollution as the average car. Reducing the amount of energy used in a home can drastically decrease the amount of pollution created to generate the electricity for homes. An EEM (Energy Efficient Mortgage) can help you purchase an energy efficient home. The EEM recognizes that energy efficient homes cost homeowners less to operate on a monthly basis than standard homes because they use less energy. Homebuyers who choose energy efficient homes can afford to spend more on their mortgage loan because they will likely spend less on their energy costs. How Does the EEM Benefit the Borrower? The EEM benefits the borrower in several ways. First, the estimated energy savings are added to the borrower's income to allow the homebuyer to qualify for a larger total mortgage amount. Second, by increasing borrowing power, the EEM allows borrowers to include the costs of energy improvements into the total mortgage amount. 100% of the energy improvements, typically up to 15% of the value of the home, can be financed and paid for over the life of the mortgage, reserving the borrower's cash for more immediate, move-in costs. Third, the value of the home is adjusted by the value of the energy efficient improvements. 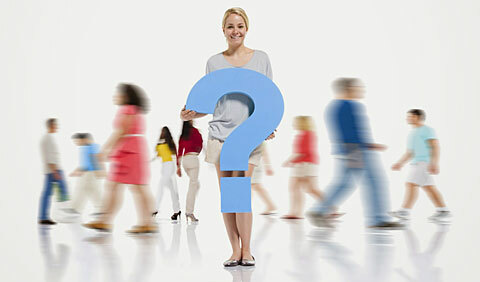 What Types of Homes Can Qualify for the EEM? The EEM can be used for one-unit, single-family, owner occupied principal residences, PUDs, and condominiums. The homes may be new construction or existing housing. Can a Home That Is Already Energy Efficient Qualify for an EEM? Yes, the EEM can be used for homes that are energy efficient at the time of purchase. What Types of Transactions Can the EEM Be Used For? The EEM can be used for both purchase and refinance transactions. The standard EEM can be used for limited cash-out refinances. How Does a Home Qualify for the EEM? Existing homes must have a RESNET accredited rating report to evaluate the home's energy efficiency in its current state or to identify opportunities for cost-efficient energy efficient upgrades. If the home was newly constructed, the home can have a rating report. After completion, the home is evaluated with a home energy rating. The home energy rating is a standard measurement of the home's energy efficiency. An energy rating allows a homebuyer to easily compare the energy costs for the homes being considered. Home energy ratings involve an on-site inspection by a residential energy efficiency professional - a home energy rater. Home energy raters are trained and certified by a RESNET accredited Rating Provider. The home energy rater inspects the home and measures its energy characteristics, such as insulation levels, window efficiency, wall-to-window ratios, the heating and cooling system efficiency, and the solar orientation of the home. Performance testing, such as a blower door test measuring door and duct leakage may be used. 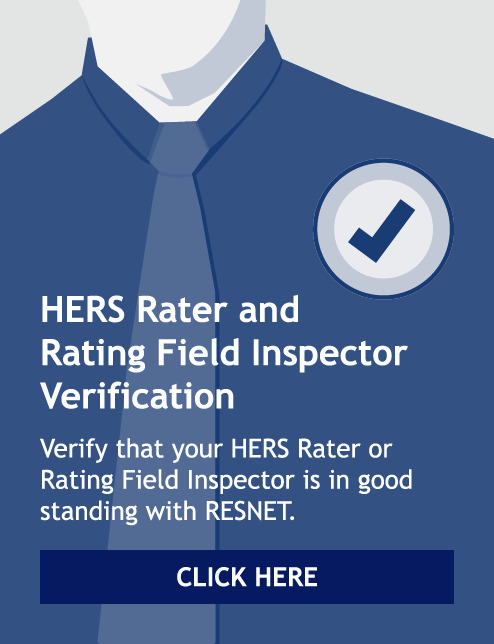 The HERS rating Index is a scoring system established by the Residential Energy Services Network (RESNET) in which a home built to the specifications of the HERS Reference Home (based on the 2006 International Energy Conservation Code) scores 100, while a home that produces as much energy as it uses scores a HERS Index of 0. The lower a home's HERS Index, the more energy efficient it is. Most existing homes score between 150 and 130, so there is much room for improvement for almost all existing homes. An estimate of the home's energy costs is also provided. A homeowner who wants to upgrade the energy efficiency can use the energy rating to evaluate and pinpoint specific, cost-effective improvements. How Does an Energy Efficient Home Qualify for an EEM? The rating report compares the energy efficient home against a similar home meeting the minimum energy requirements of the International Energy Conservation Code (IECC) (often called the "reference home). The rating confirms that the home when built achieves the intended design and performance specifications. Do Older Energy Inefficient Homes Qualify for an EEM? Yes, the EEM can finance the energy upgrades of an existing home. How Does a Home That May Need Energy Improvements Qualify for an EEM? For homes that are not energy efficient, the rating report recommends cost-effective measures to improve the home's energy performance and estimated the savings that will result from making the improvements. The homebuyer then can include the cost of the improvements in their mortgage loan. Why Will the Mortgage Lender Add the Energy Savings Value? The energy efficiency improvements to a home add value to it. The rating report provides the additional value the energy improvements will add to a home. How Does a Lender Calculate the Added Value of the Energy Savings? The energy rating report will provide the lender with the present value of the energy savings. Why is the Added Present Value Necessary? The added present value accomplishes two things. First, in an energy efficient home it may not be possible for an appraiser to isolate the installed costs and market value of the energy measures. Second, for homes that need energy improvements, the present value calculation is used to determine whether the energy improvements are cost effective. The benefit the borrower will receive in energy savings must exceed the cost to install the improvements. If the benefits do not exceed the installed costs, then the improvements are not cost effective and the home will not qualify for an EEM.